Sow for you! Imagine that...the idea of planting something for YOUR life! YOU will reap fruit…however you may have to do some groundbreaking things! If you want something you have never had you are going to have to do something you have never done. Break up the ground that is unplowed. 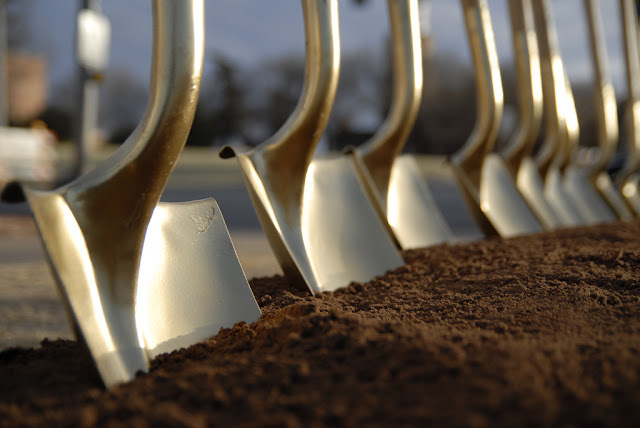 It’s the first thing we do before we build…groundbreaking. We are seeking something so we prepare the ground to accommodate what we are seeking. The instruction is to break up the ground and get it ready for what is coming. That's groundbreaking. God is getting ready to bless you and you want that blessing to find a fertile spot to land in. Sow for yourself today. Do something for YOU. Make a right decision by being at the right place at the right time...for YOU. Break up the ground and get ready for something special. It's time!